I recently participated in one of the coolest things I have had the distinct pleasure to do with one of my scores. Thank you to Christopher Coleman for the opportunity to participate in a “composer commentary” on The Annotator, Episode 65 with 9 cues from my Being Rose score where I was able to add commentary on top of some of my cues, discussing how I managed not being able to record with any of my musicians simultaneously in the same room; how I used specific instruments to represent the two main characters as well as the two main threads of the film: the love story and central character’s spiritual journey. Take elevator to first floor lobby, theater is off the lobby entrance. After being diagnosed with serious health issues, ex-cop Rose Jones (Cybill Shepherd), goes on a road trip in a wheelchair to search for her estranged son. Along the way, she falls in love with Max (James Brolin), a handsome old cowboy, who has come to a crossroads of his own. not rated | 89 min. Los Angeles-based composer and conductor Brian Ralston has spent the past 15 years creating compelling, heart-pounding, uplifting, and beautifully melodic tracks that delight and inspire audiences. His creative gifts lend themselves to an extremely rich and beautiful sound that can not only be seen, but felt throughout his works. 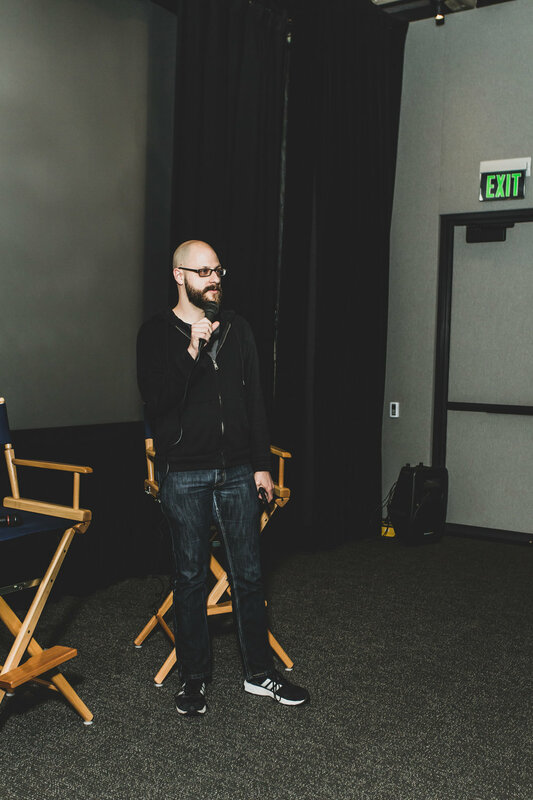 After studying film music composition and conducting at the University of Arizona under film/TV composer Jeff Haskell, Ralston completed graduate level work in the Scoring for Motion Pictures & Television program from the University of Southern California in 2002. His studies and musical background sparked an extraordinary desire to enhance the heart of a film’s narrative with the language of music. Ralston is best known for his work on the film score for Crooked Arrows, the first mainstream Hollywood movie about lacrosse, starring Brandon Routh and Gil Birmingham, directed by Steve Rash. The score reflects richly thematic melodies set against the thrill of victory and the pains of defeat in the action-packed sports drama, which has won him much praise within the film community. 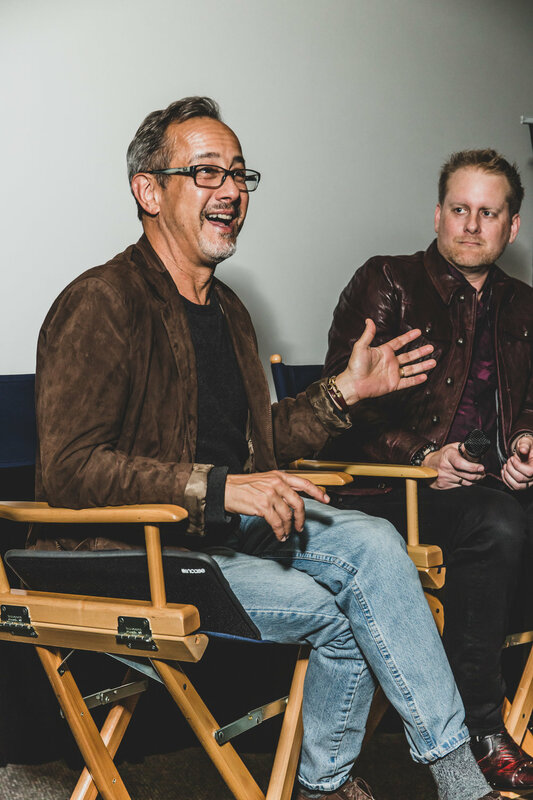 Most recently, Ralston worked on the intimate score to the dramatic love story Being Rose, which will hit theaters nationwide January 2019. The new trailer for Being Rose just dropped exclusively on Apple Trailers. Check it out. BEING ROSE to have a nationwide theatrical release in January 2019. BEING ROSE is finally coming to theaters January 4th. So excited and proud of this one. The score was recorded right here in Los Angeles featuring some amazing AFM Local 47 musicians, including Belinda Broughton on violin, Chris Bleth on Native Winds, Andrew Synowiec on guitars, Deane Ogden on drums and yours truly on Piano and keyboards. Noah Gladstone and the folks at Hollywood Scoring contracted. 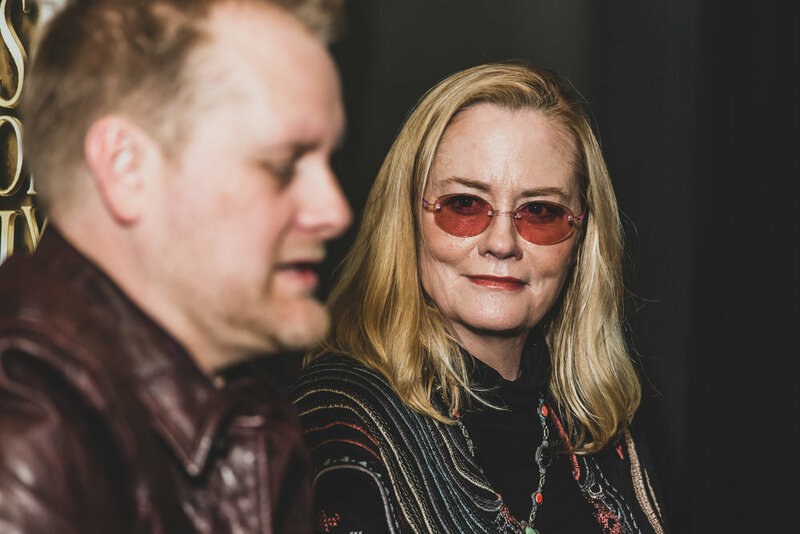 “Gravitas Ventures has acquired North American rights to Rod McCall’s romance “Being Rose,” starring Cybill Shepherd, James Brolin, and Pam Grier, Variety has learned exclusively. The film will be available in theaters and on demand on Jan. 4. Shepherd plays an ex-cop diagnosed with serious health issues who goes on a road trip in a wheelchair to search for her estranged son. Along the way, she falls in love with Brolin’s cowboy character, who has come to a crossroads of his own. Scoring video from Is Someone There? at Warner Bros. I recently finished scoring a little horror thriller short film that I am also producing and thought I would share a little glimpse of how that was all put together. So here is a performance video of that suite. Honored to be able to record this with LA's finest musicians at the Warn Bros Eastwood stage. Thank you to all the amazing musicians and WB stage crew and everyone else that has supported this project. Enjoy! Score suite to the Horror/Thriller short film "Is Someone There?" -Music composed and conducted by Brian Ralston. - Orchestrated by Ryan Humphrey and Brian Ralston. - Score Recordist Adam Michalak. - Score Tech Engineers Ryan Robinson. - Eastwood Stage Crew Richard Wheeler. - Eastwood Stage Manager Jamie Olvera. - Music Editor Marc Perlman. - Contractor Noah Gladstone at Hollywood Scoring. - Score Coordinator Elisa Rice. - Recorded at the Warner Bros Eastwood Scoring Stage August 10, 2018. 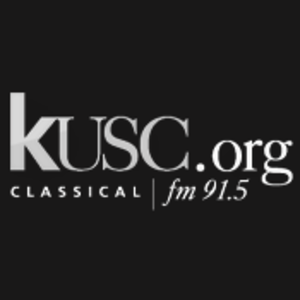 - Performed by members of the Hollywood Studio Symphony Orchestra, AFM Local 47. Here is a cue of the main theme from Brian's score to the film ROSE. Tesoro Pictures’ “ROSE” starring Cybill Shepherd and James Brolin opened the Lone Star Film Festival with it’s world premiere on Thursday, November 9th, at The Four Day Weekend Theatre in downtown Fort Worth. The film, and Cybill Shepherd, who was in attendance, received rave reviews and an enthusiastic response from the sold out audience. 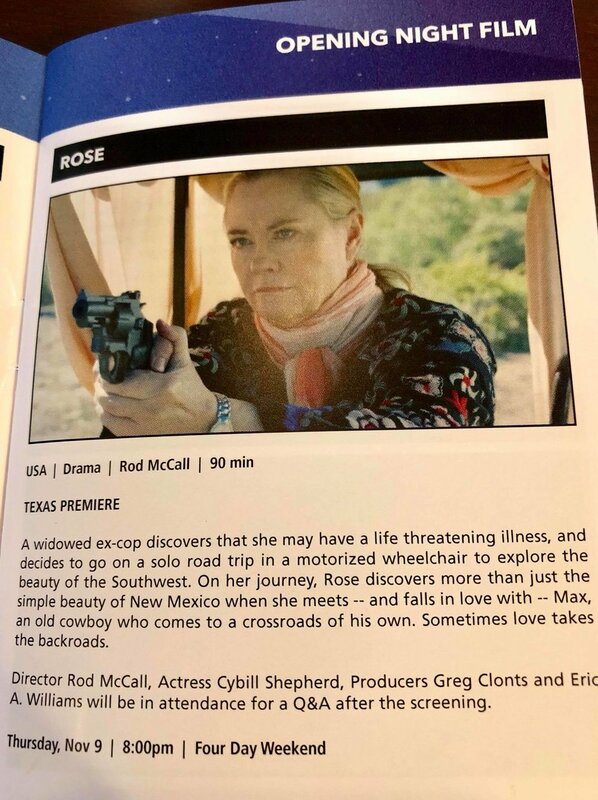 “ROSE” is the saga of Rose Jones, a widowed ex-cop, who discovers that she might have a life-threatening illness and decides to go on a solo road trip in a wheelchair through magnificent rural New Mexico. Her journey introduces Rose to Max (James Brolin), a charismatic, older rancher, who has his own life-changing issues. 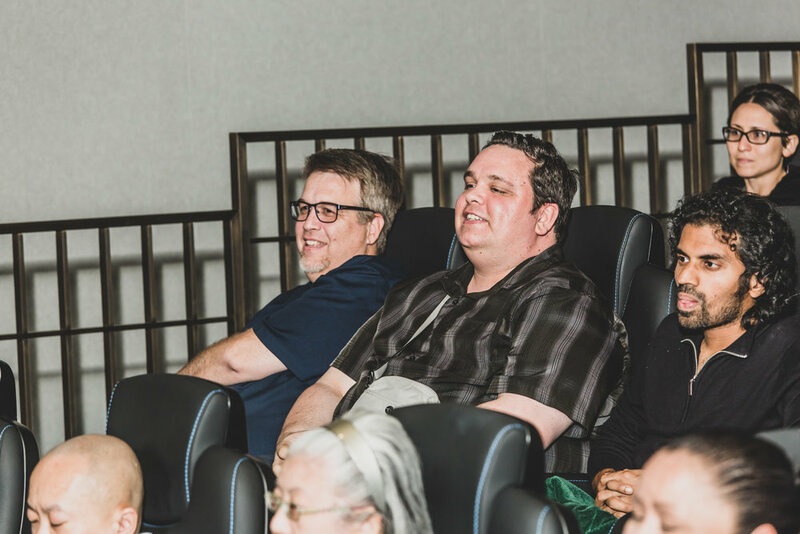 Cast members present at the “ROSE” screening were Julio Cedillo, who plays “Nesto,” a New Mexico cop who befriends Rose on her journey, as well as Mark Vasconcellos, who is “Duke,” a felon who attempts to rob Rose. Other actors present included Delana Michaels and Mary Maxson, who are featured in the film as members of Rose’s bowling team, and Amiee Williams, who plays the role of “Bonnie,” James Brolin’s daughter. 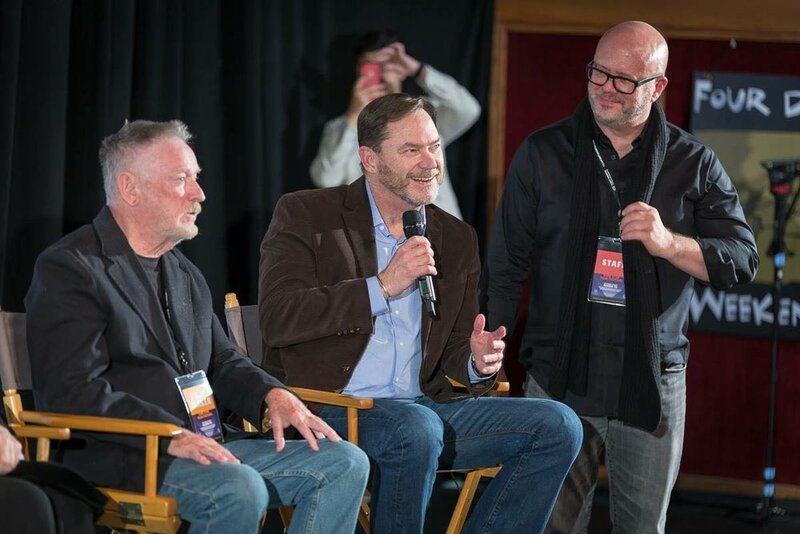 Members of the “ROSE” production team, who attended the premiere, included Eric Williams, Executive Producer, from Austin, Stephen Griffin from Dallas, who edited the film, Brian Ralston from Los Angeles, who composed the score, Colemar Nichols from Albuquerque, who was the Director of Photography, Randy Huke from Austin, Set Decorator, Script Supervisor Dave Adams of Delaware, and from Houston, Mario and Miguel Martinez, gaffers.